Decorate a bare wall space in your home with the Stratton Sailboat Wall Decor. 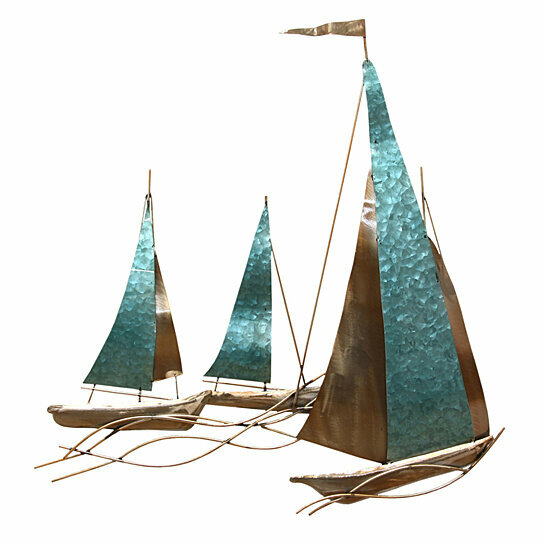 With elegant bronze and teal metallic tones, It will add a definite nautical touch to wherever it is placed. This piece is a must have for those who appreciate high quality nautical decor. This piece will be admired by all those who love the sea.. Pair it with pieces of coastal and nautical design for a cohesive feel. Decorate a bare wall space in your home with the Stratton Sailboat Wall Decor.